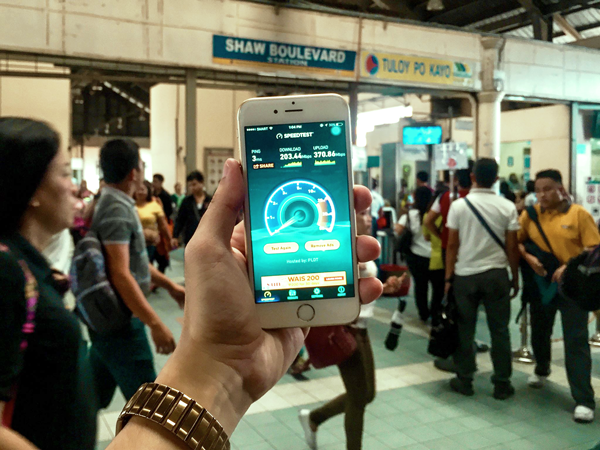 MANILA, Philippines — The bill mandating transport terminals to provide free internet services and clean toilets for commuters is now awaiting President Duterte’s signature. The enrolled bill was adopted by the House of Representatives and transmitted by the Presidential Legislative Liaison Office to the Office of the President last March 21. It will lapse into law if Duterte does not sign it after 30 days from receipt. Sen. Grace Poe, chairperson of the Senate committee on public services and principal author of the measure, expressed hope the President will immediately sign the measure as many students are expected to return to their provinces this school break. She also took note of families who spend time during summer in the country’s various tourist destinations. She added that terminal toilet experience “is one aspect that travellers remember, whether the experience is impressive or horrible.” Thus, making terminals and toilets crucial to tourism.